TORONTO – This country’s largest specialty bedding retailer will buy what’s believed to be Canada’s largest e-commerce bed-in-a-box purveyor for a potential $88.7 million. The move will make Sleep Country Canada Holdings (SCC) a truly omni-channel sleep specialist, perhaps the first of its kind in North America. The publicly-held company is the corporate parent to both Sleep Country and Dormez-vous, its Quebec counterpart which between them have 264 stores and 16 distribution centres across the country. 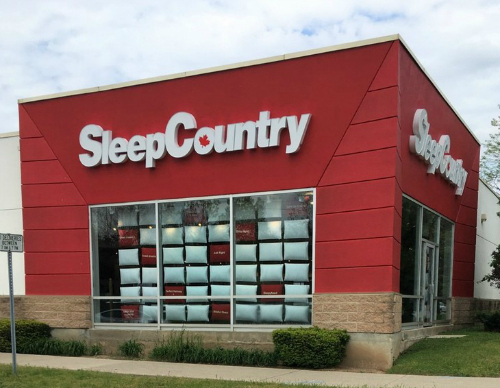 “Together, Sleep Country and Endy, two great Canadian brands will provide the most convenient customer experience to a wider base of Canadian consumers shopping for a better night’s sleep,” SCC chief executive officer David Friesema said in a statement. 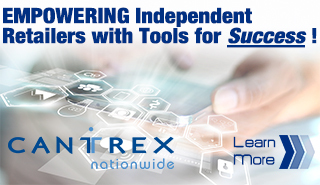 “We recognize that consumer shopping habits are evolving and we remain focused on serving our customers any way they want to shop, and providing them with the choice to navigate easily between traditional and online channels. He described Endy – which was founded in 2015 – as one of this country’s fastest growing start-ups and as an innovator in Canada’s e-commerce space. It was the highest-ranking retailer and fourth overall on this year’s 2018 Startup 50 list as compiled and recently published by Maclean’s and Canadian Business. “The company has achieved this explosive growth while taking on very minimal external investment,” SCC said. He noted Sleep Country and Endy will be run separately to encourage the competitive spirit that has positioned both as leaders in their respective spaces. Gettis will continue as CEO while general oversight of the Endy business will be provided by a board – under Ruparell’s chairmanship – comprised of senior management from both firms. SCC has agreed to acquire all of Endy’s assets for $88.7 million – $63.7 million in cash at closing, with up to an additional $25 million in early 2021 should certain growth and profitability targets be achieved in 2020. The transaction will be financed through Sleep Country’s revolving credit facility, which will be upsized by $60 million to $210 million for the transaction. The $63.7 million paid at closing represents approximately 12.0 times Endy’s trailing 12-month EBITDA (earnings before interest, taxes, depreciation and amortisation) as of 31 October 2018. If the full earn-out payment is made in 2021, the future implied acquisition multiple for 2020 will be below nine times EBITDA based on the total purchase price of $88.7 million. “Furthermore, because of the strength of our balance sheet, our financial leverage will still be at relatively conservative levels,” indicated Robert Masson, SCC chief financial officer. However, Endy’s annual revenues were not disclosed although Gettis was quoted by the Financial Post earlier this year saying they were expected to approach $50 million this year. In its 2018 Startup 50, Canadian Business pegged Endy’s two-year growth rate for 2016 and 2017 at 2,956%. Statistics Canada’s Retail Commodity Sales survey valued mattress sales at a preliminary $954.5 million for the first half of 2018. Subject to customary closing conditions, the transaction is expected to close on 06 December 2018. SCC told investors the transaction will be immediately accretive to earnings. The founders of the Toronto-based Endy believe partnering with Sleep Country will provide the e-commerce site with both resources and security as it seeks to thrive in an ever-expanding web space. Estimates place the number of direct-to-consumer mattress sites at about 175 across North America, at least 50 of which are active in the Canadian market including heavyweights such as Casper, Leesa, Saatva and Purple. In a conference call with analysts, Friesema was quick to note the deal doesn’t mean Endy and Sleep Country will be amalgamated or that SCC will stop sell product from Endy’s bed-in-a-box competitors. Friesema said SCC was interested in buying Endy because of the potential synergies and wasn’t a defensive move in reaction to the increasing competition brick-and-mortar is getting for online purveyors. Observers believe both companies will benefit from the acquisition. For example, Endy will be able to leverage Sleep Country’s logistics, warehouse and shipping expertise, while SCC will be able to tap into Endy’s e-commerce technology and digital marketing prowess. However, Friesema doesn’t expect to see Endy products in Sleep Country stores any time soon although it has been discussed. It’s a decision Endy will make at some point in the future.